Three days ago I had the opportunity to be exposed to a part of this great game I’ve always tried to steer clear from; the mental abuse some players intend to inflict upon other players. The Legacy Of A Capsuleer Podcast presents our series of CSM 9 Candidate Interviews. In this episode we have an interview with Angry Mustache and he would like to run for CSM 9 this year. I found this to be a amazing video showing why you should go to Fanfest! Im going to Fanfest and I hope to meet you all there! The first dev blog associated with the summer expansion has been out for a few days and as is my custom, I’d like to talk about this dev blog and what I think of the feature. That dev blog is about the future of reprocessing. Black Core Alliance Nyx Down!! 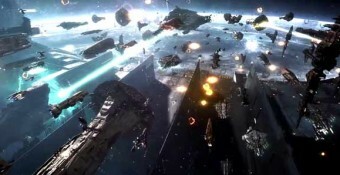 Earlier today in Y-N4EF a Nyx piloted by a Black Core Alliance member died to the hands of Goonswarm Federation. March has been an interesting month for -A-. Their largest corp, Kenshin., departed the alliance, DARKNESS. swapped sides, -DD- disbanded, and their allies began a steady withdraw to Stain. 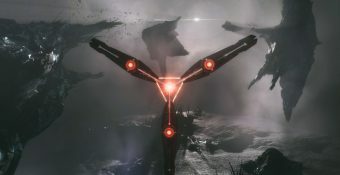 riverini’s note: Our good friend and blogger Rixx Javix recently decided to found a new alliance, the name of the alliance is callled A Band Apart. If you are interested in joining, check his announcement post at EVEOGANDA’s homepage. Let’s delve into a simple story of EVE players behaving badly. In an unprecedented move for our fellow capsuleers on Serenity, The conflict between PIBC and VVV on one side, and RAC/COA and FDK on the other, escalated into a massive supercapital battle that might even dwarf B-R5 before it is over. 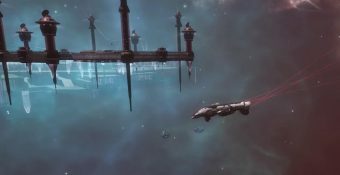 Nexus Fleet closing shop, Nulli Secunda merger in progress. You want to have fun and also have the chance at killing a carrier and winning ISK? Well look no further, Gajin Sensei is giving you the chance to do it. This is the super that was posted on this subreddit a day or so ago with hardly any armour left warping away. Watch This: Battle of Caldari Prime Anniversary homage. 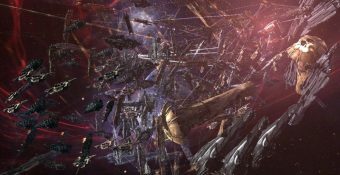 The battle of Caldari Prime happened almost a year ago, it was an in-game event without precedents in which culminated with the wrecking of a Leviathan class NPC titan in Caldari Prime. The following piece was submitted to us. Greedy Goblin: Goons didn’t want these regions anyway!